S.N. 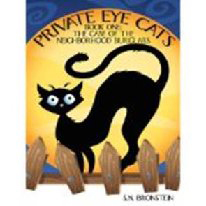 Bronstein will be featuring all four books in his "The Fairlington Lavender Detective Series" as well as both books in his children's series "Private Eye Cats" in the Meet the Author's Book Fair at the Eau Gallie Civic Center in Melbourne, Florida, on November 19 and 20, 2016, 9:30 am to 4:30 pm. The Fairlington Lavender Detective Series includes: The Case of the Miami Philanthropist, The Case of the Miami Blackmailer, The Case of the Miami Vigilante, and The Case of the Yellow Flower Tattoo. 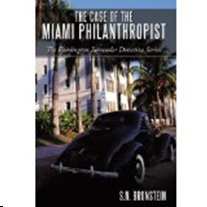 The books afford the reader the opportunity to revisit crime stories from the files of Miami Beach private detective Fairlington Lavender. The Private Eye Cats Series includes Book One: The Case of the Neighborhood Burglars and Book Two: The Case of the Kidnapped Dog. These are children’s books written for ages 9-12 and the themes surround two sister house cats who decide to become private detectives. The two felines solve crimes in their neighborhood when the police are unable to do so. S.N. Bronstein is a retired educator who began writing crime story novels in 2008. He resides in Indialantic with his wife Dawn and cat Nugget, and devotes his time to writing.